A classic sleigh headboard is decorated with raised panels to give it a modern appeal. Two drawers in the low-profile footboard make great use of your bedroom space, offering extra storage for blankets, clothing, and more. The Allegra King Low Profile Bed with Footboard Storage by New Classic at Michael's Furniture Warehouse in the San Fernando & Los Angeles area. Product availability may vary. Contact us for the most current availability on this product. B2159-130 6/6 EK Side Rails 1 80" 2" 16"
B2159-128 6/6-6/0 K Storage Footboard & Slats 1 81" 27" 22"
B2159-110 6/6-6/0 K Headboard 1 81" 12" 57"
Warranty 1 Year Limited Warranty: All casegood furniture pieces, including, beds, dresser, entertainment pieces, dining pieces, etc. are warranted by New Classic Home Furnishings to you, the original retail purchaser, for one year from the date of purchase, to be free from material manufacturing defects. A classic cottage aesthetic meets modern lines and simplistic detailing to bring you this unique bedroom suite. A light Pewter finish covers raised panel detailing, subtle molding, and bun feet to create light and welcoming pieces for your master bedroom. 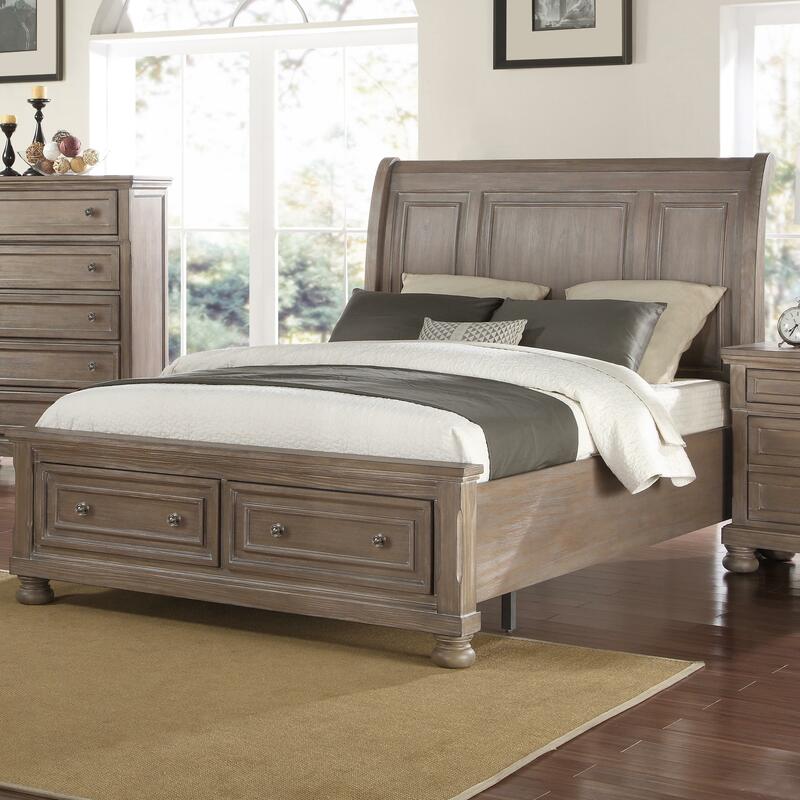 Storage is the game with this collection, featuring footboard drawers on the bed and a number of separate storage chests and pieces to create the perfect bedroom suite for your space. The Allegra collection is a great option if you are looking for Transitional furniture in the San Fernando & Los Angeles area. 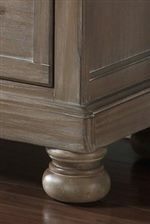 Browse other items in the Allegra collection from Michael's Furniture Warehouse in the San Fernando & Los Angeles area.